The employment of digital technologies offers great potential in all lifecycle phases of a building. Correctly employed, these can increase the quality of construction and simultaneously reduce construction costs and times. A start has been made—but there’s still a long way to go till the building industry is fully digitized. The latest state of technology is presented at BAU 2017, where the digitization of building is one of the key themes. In the Scandinavian countries, Great Britain and the USA, digital planning and construction processes are already comparatively widespread. In contrast, the German building industry still has to make up ground so as not to fall behind in increasingly international competition. For it’s now becoming apparent that those who do not take part in making the transition to digitization and the change of planning methods that this involves will fall behind economically. But digitization is still possible in this country too, as is already shown by the fully digitally planned pilot projects in the public sector and the construction schemes realized by the big architecture offices with BIM. 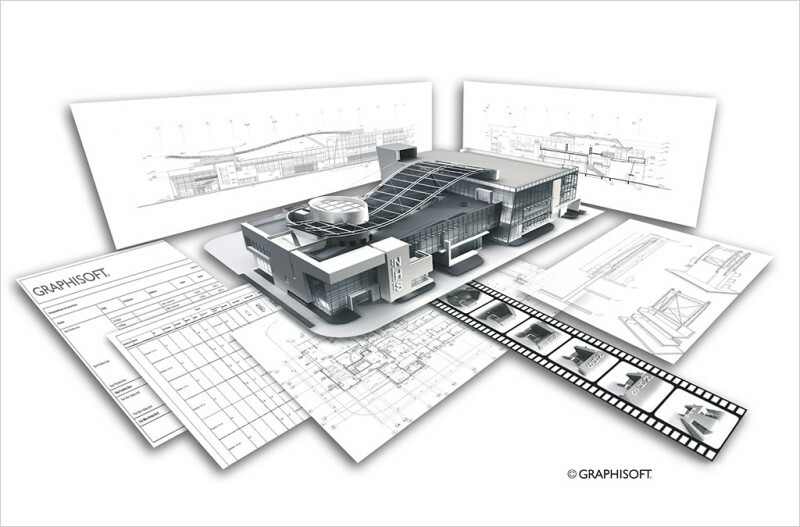 Behind the now ubiquitous abbreviation “BIM” is the idea of a digital model. The planned construction is no longer conceived by means of an unmanageable mass of plans from the different disciplines (architecture, structure planning, TGA etc.) but is represented by a multidimensional, data-based model. Investors, engineers and architects as well as project controllers and the later operators work together via this central platform from the beginning and are informed at an early stage about the current state of planning at the time. All project-related information (areas, costs, time scheduling etc.) is available to those involved as a basis for decision-making. 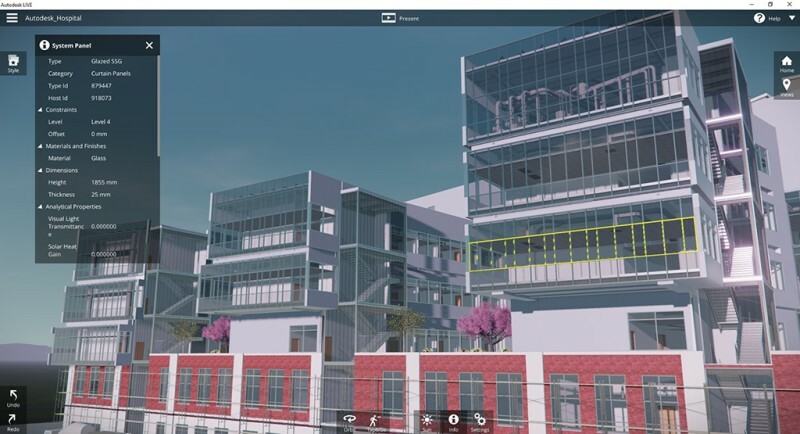 In working with BIM, the individual building components become carriers of information relevant to the project; in the form of lists, calculations, time schedules or simulations, these can be given out and linked together. So you no longer work just with “representations” of components but with “smart data”—a new level of digitization. To make use of these advantages, a cultural change is necessary; the usual type of collaboration is altered by employing BIM. The former series of isolated individual processes or “lone activities” of the protagonists involved now makes way for a networked method of working which is characterized by a new form of teamwork and communication. This change represents a great challenge for all concerned because the cooperative method of working presupposes mutual trust and openness. But given these “soft” factors and if good organization of the process is ensured (the keyword is “BIM management”), problems can be recognized at an early stage, risks minimized and construction costs saved as a result. Model-based design, construction and management goes far beyond the step from 2D to 3D planning—the three-dimensional “subject-specific models” of the individual planners are brought together regularly and checked for their conformity (e.g. in the “collision check”). A joint matching of the planning statuses thus takes place much earlier than was usually the case. However, this does not mean that execution planning is already carried out at the beginning of the project—a fear that is often expressed by architects with regard to BIM. By way of comparison: with a physical model made of cardboard and plastic, the level of detail grows as the planning advances. It’s exactly the same with digital model-based planning—a wall is at first just a wall, only later is it given a multilayer structure, for instance; building materials and thus costs or key physical figures etc. are determined later. Modern software works on the basis of access rights. While the one planner is doing work on a wall and relocates it, for instance, that wall is inaccessible to others involved in the project. This prevents everyone from “doing as they like” in the joint building model, a fear that’s often expressed. With good BIM management, however, the fear is groundless. In a few years, all projects with principals from the public sector are to be planned, built and realized with BIM. All planning services will then have to be provided in digital form. Until then, it is necessary to harmonize digital planning and building with HOAI (the official German scale of architects’ and engineers’ fees), to set BIM standards and guidelines with binding force and to clarify the general legal conditions from rights of use to questions of liability. But it’s already becoming apparent now that the new model-based way of working will be the rule in this country too—even for smaller construction projects, whether it’s new building or in the existing building stock. Floor plans, views, detail drawings or product lists, for example can be generated from a digital building model.